There has been a major disruption in the Force—of European unity. “Rebels” from the United Kingdom have broken with the “empire,” the European Union (EU). 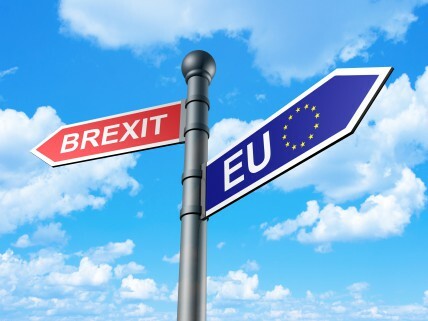 Through a referendum on June 23 in favor of a “Brexit” (from Britain and exit), the people of Britain have taken a historic step toward regaining their national sovereignty and control over their own affairs—if they can manage the disruptive transition. The UK joined the European Economic Community, the predecessor of the EU, in 1973. No member nation has ever exited the EU, so this is an uncharted path. The Brexit campaign was driven chiefly by concerns that the EU imposed too many regulations on business, demanded too much in membership fees for too little in return, and exercised too much control over the UK’s borders. Reducing or restricting the number of people coming to the UK for work or to establish residence is a goal of the Brexiteers. But how will it work? The laws of the EU will remain in effect in the UK until it officially ceases its membership. And the UK is obliged to abide by EU treaties and laws, but UK ministers will have no role in EU decision-making. The process to will commence when the UK officially invokes Article 50 of the Lisbon Treaty of 2009 and EU–UK negotiations will take two or more years to complete. Links to a miscellany of articles on the UK’s departure from the EU. The Twitter feed of @TheBrexiteer (the Leave Alliance).